Fallow Deer were introduced to New Zealand in 1864 from Europe. They found the New Zealand habitat very much to their liking and quickly bred and spread and now can be found throught out New Zealand. Although not a large deer they are very aggressive and during the rut they will often fight to the death. We have also encountered were they have killed red stags. 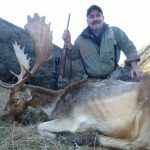 The Fallow Buck rut is in early April and finishes in May. Unlike the Red Stag that roar when issuing their challenge Fallow Buck make a grunt or croaking sound. 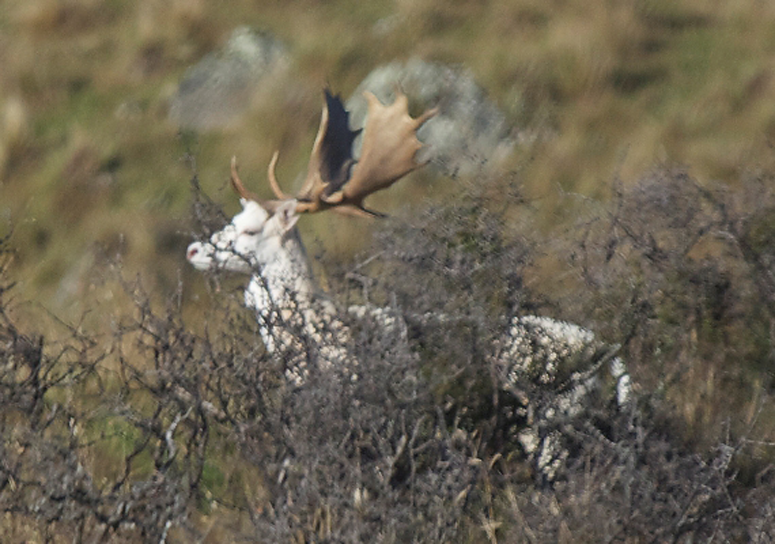 Fallow come in a variety of colours including black, chocolate, spotted (menil) and white. 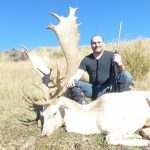 They are the second most popular deer hunted in New Zealand. A good buck will have palmated antlers similar looking to a moose (although not as big). 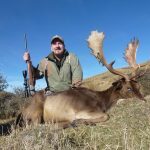 Like all New Zealand big game animals , man is there only predator it is through our management practices with good breeding and selective culling of the bucks that don't make trophy class we are able to offer a good number of quality bucks. 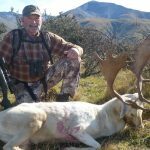 They can be hunted from late February through to mid September. 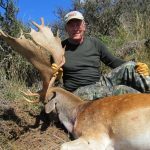 We offer both free range and estate hunts. They also can be taken with rifle or bow.